The feminist collective, Rebelles Montréal, held a pro-choice picnic this past Sunday to celebrate the forty year fight for the right to abortions, and raise awareness surrounding barriers still facing women who wish to obtain them. The picnic entailed speeches, workshops, quizzes and music, and reaffirmed the collective’s strong belief in women’s right to choose, both within Canada and around the world. 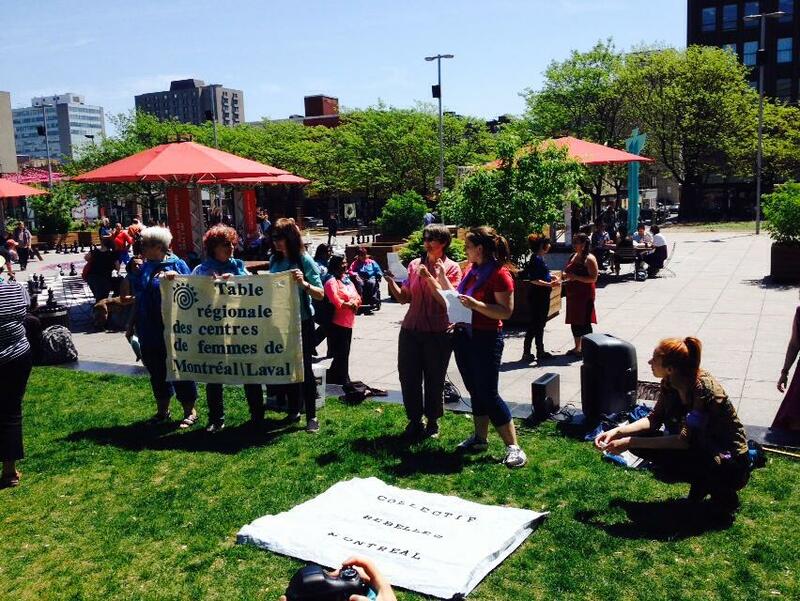 Off The Hour’s Hailey MacKinnon brings us a report from the picnic, including interviews with Janelle LeBlanc from Le Centre des Femmes Solidaires et Engagées, Jana Tostado from the Spanish Immigrant Collective, and Veronica Crespo from Rebelles Montréal. 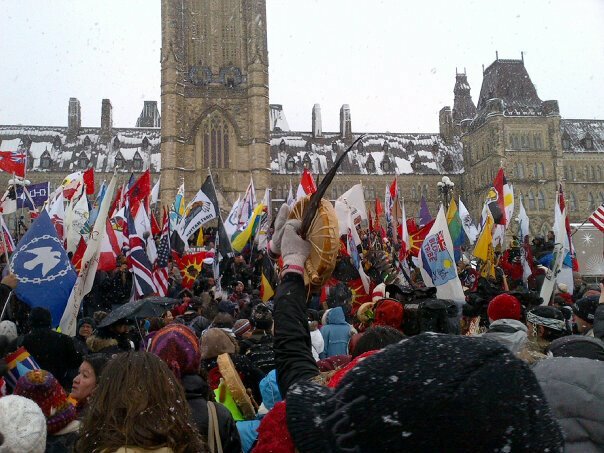 On May 14th, over a thousand people gathered in Ottawa for a Day of National Resistance organized to protest against recent government relations with First Nations people. There were also many companion events organized across the country. The protest was centered on three key issues. The first was the recent and controversial Bill C-33, or First Nation Control of First Nation Education Act. The event also protested against the Harper government’s disinclination to launch a national inquiry into the high incidence of missing and murdered indigenous women in Canada. And lastly, the event took issue with Bill C-10, or the Contraband Tobacco Act, in which the government aims to criminalize the selling, buying, or trading of tobacco without a federal excise tax stamp. Jode Kechego, who organized the event, talked to CKUT about the implications of these three issues as well as his hopes for the First Nations movement, both in its internal relations and in its relations with the government. Following the recent death of cyclist Mathilde Blais, the city of Montreal has begun to act to improve cycling safety at underpasses. This involved painting and putting up signs at underpasses to direct cyclists to ride on the sidewalk. However, Gabrielle Anctil, a bicycle activist in Montreal, sees these measures as being only temporary solutions. 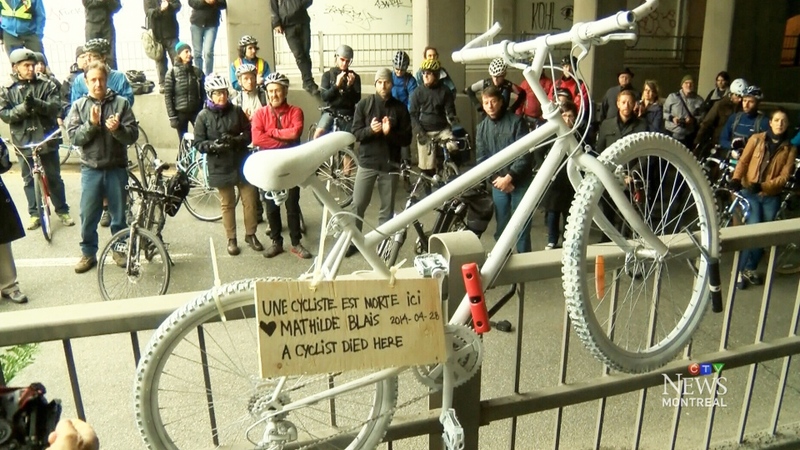 Anctil organized the placing of a ghost bike to commemorate Blais’ life on May 5 at the underpass where she died. She talks to CKUT’s Una Jefferson about the state of bike safety in the city of Montreal, and what needs to be done to make sharing the road a safer proposition in the long run. Among other things, Anctil discusses noteworthy bike policy and planning that has been implemented in Amsterdam and in Idaho, and tackles the question of where responsibility should lie on a shared road. 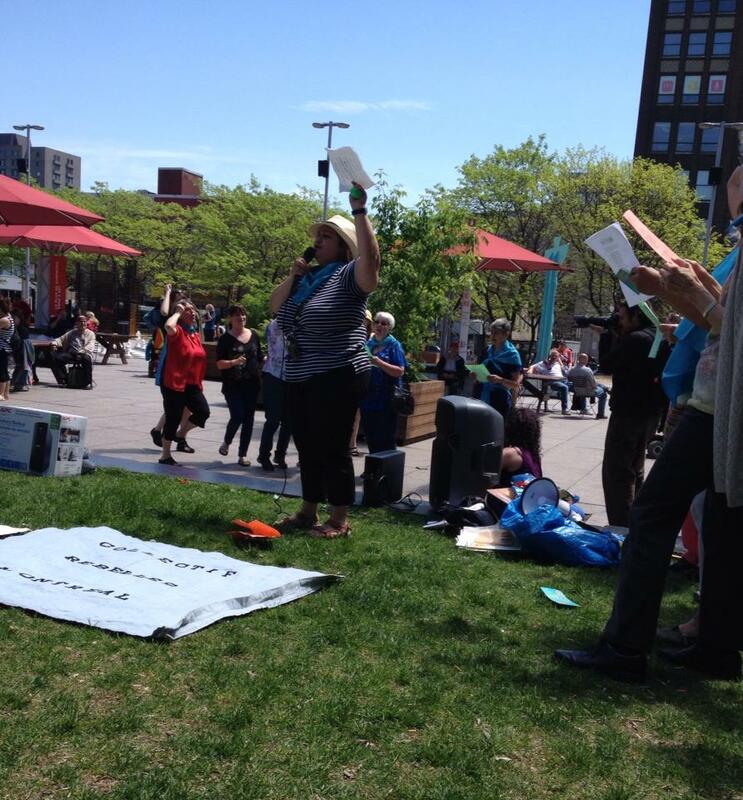 CKUT reports from the first Palestine Peace Festival in Montreal, which took place on Sunday, May 18th. 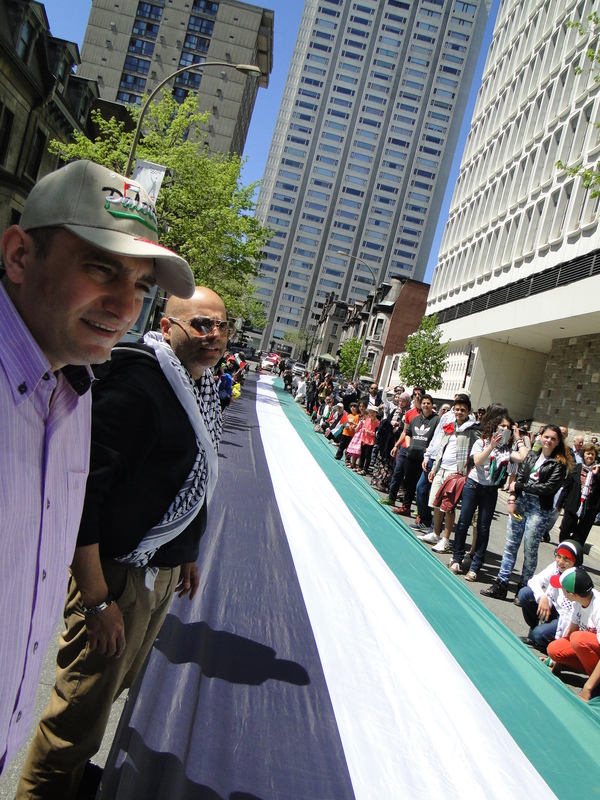 The Palestinian community of Montreal deployed and invited everyone o sign the longest Palestinian flag in history, 66 meters commemorating the 66 years of Naqba. On May 1st, over 60 people gathered on Adelaide Street in Toronto in front of Goldcorp’s offices in celebration of Topacio Reynos’s life. 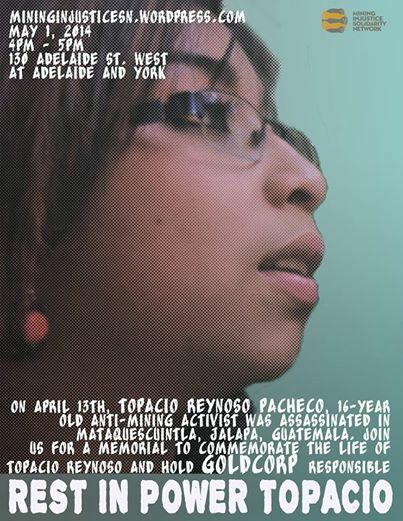 Topacio was a 16 year old mining resistance activist. She was assassinated by unknown gunmen on April 13th in Guatemala. Her activism and leadership was celebrated in Guatemala by her friends, family and community members whilst back in Vacouver, Goldcorp was announcing this year’s profits at their annual shareholder meeting. CKUT’s Amelie Phillipson spoke with Rachel Small from the Mining Injustice Solidarity Network to find out more. 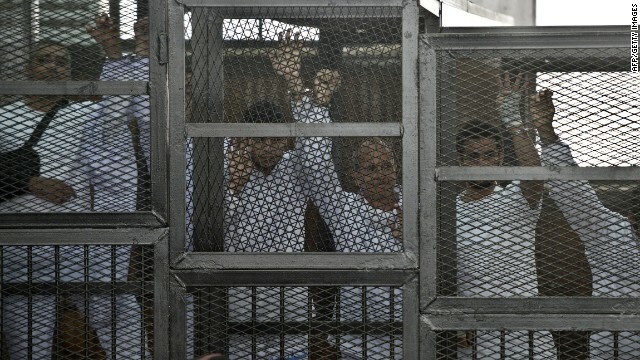 CKUT sat down with Ehab Lotayef from the Egyptian Canadian Coalition for Democracy to discuss the recent mass death sentences pronounced against accused Muslim Brotherhood supporters, and the upcoming presidential elections in Egypt. CKUT’s Amelie Phillipson spoke with Sheryl Nestel from Independant Jewish Voices about Israeli Member of Knesset Moshe Feiglin’s visit to Canada. 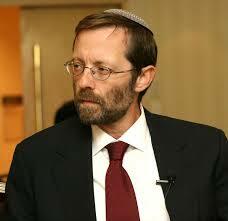 Feiglin is a close supporter of terrorist organization the Jewish Defense League.